Toronto’s hot housing market has entered a new phase: jittery. After a double whammy of government intervention and the near-collapse of Home Capital Group Inc., sellers are rushing to list their homes to avoid missing out on the recent price gains. The new dynamic has buyers rethinking purchases and sellers asking why they aren’t attracting the bidding wars their neighbours saw just a few weeks ago in Canada’s largest city. Home Capital may be achieving what so many policy measures failed to do: cool down a housing market that soared as much as 33 per cent in March from a year earlier. The run on deposits at the Toronto-based mortgage lender has sparked concerns about contagion, and comes on top of a new Ontario tax on foreign buyers and federal government moves last year that make it harder to get a mortgage. Early data from the Toronto Real Estate Board confirms the shift in sentiment. Listings soared 47 per cent in the first two weeks of the month from the same period a year earlier, while unit sales dropped 16 per cent. Full-month data will be released in early June. The average selling price was $890,284 through May 14, up 17 per cent from a year earlier, yet down 3.3 per cent from the full month of April. The annual price gain is down from 25 per cent in April and 33 per cent in March. 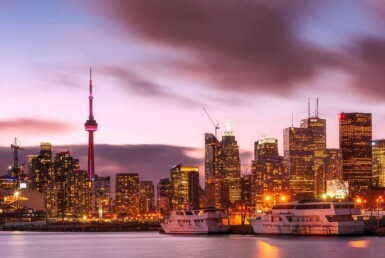 Toronto has seen yearly price growth every month since May 2009. The last time the city saw gains of less than 10 per cent was in December 2015. Brokers say some owners are taking their homes off the market because they were seeking the same high offers that were spreading across the region as recently as six weeks ago. Toronto real estate lawyer Mark Weisleder said some clients want out of transactions. Brokers say the 15 per cent foreign buyers’ tax announced by Ontario on April 20 and the ongoing struggles at Home Capital are sapping confidence. That’s more than offset concerns about tighter rent controls that developers have said will limit housing supply and keep prices high. Weekly polling data show real estate price expectations have come down, in a sign that Canadians are anticipating housing markets in Toronto and Vancouver will finally cool. The share of people saying home prices will rise in the next six months fell for a second week to 46 per cent, according to data compiled by Nanos Research Group for Bloomberg News. That’s down from a record 50.1 per cent two weeks ago. The fate of Home Capital, known as a “b-lender” because it caters to new immigrants and other homebuyers who can’t get a traditional bank loan, remains in question. A run on deposits and stock plunge began late last month after regulators accused the company of misleading investors about potentially fraudulent mortgage applications. 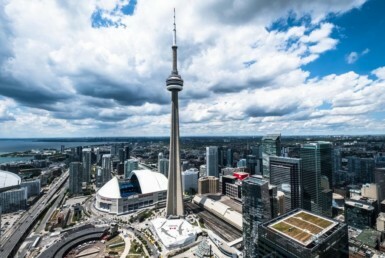 The firm went into survival mode as concern about Toronto’s housing market was escalating, with Bank of Canada Governor Stephen Poloz warning the gains were unsustainable. Worries about a market bubble morphed into nervousness about whether Canada might be on the brink of a financial meltdown. 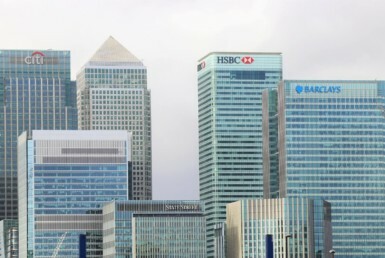 Rising household debt and runaway housing prices led to credit rating downgrades for the country’s six biggest banks this month by Moody’s Investors Service. Home Capital’s competitors have seen a surge in demand as more brokers steer clients away from the struggling lender, Dasgupta said. Those lenders in turn are experiencing slower response times due to a backlog of borrowers. Still, not all sellers are feeling pinched. Michael Hartmann put his north Toronto home up for sale on May 17, and it sold on May 22, the first day he began taking offers. The 53-year-old professor at McMaster University’s DeGroote School of Business in Hamilton, Ontario, decided not to take his agent’s advice to price the house on the low side in an attempt to stir up a bidding war. He nudged the price up to be more in line with other homes in the neighborhood and sold it for $1.65 million, $10,000 above asking price. Hartmann said he and his wife will take their time before choosing their next move. In the meantime, they plan to rent.